Elijah in Jerusalem, the long-awaited sequel to the acclaimed, best-selling novel Father Elijah: An Apocalypse,is the continuing story of the Catholic priest called to confront a powerful politician who could be the Antichrist foretold in the Bible. "Rapid cultural decline makes the moving completion of Father Elijah's story particularly compelling. O'Brien's eloquent call for faith and courage needs to be heard throughout the world." "A book you can't put down. O'Brien is a master in narrating to us how the diabolic opposition to God might play itself out in our time." "I have read all of O'Brien's novels, but only while reading this one did I clearly notice the most significant power all of them have: something, or Someone, in these novels wakes me up, makes me wiser and holier." 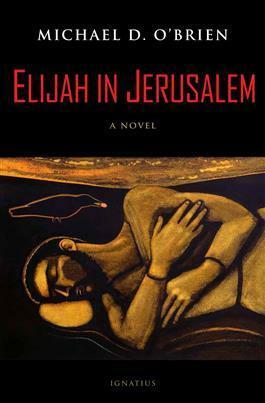 "Equal parts a thriller, a meditation on the life of faith, and a Canterbury Tales–like series of vivid snapshots of men and women struggling with good and evil, Elijah in Jerusalem offers a cinematic and thought-provoking reading experience." "It's been twenty years since the dullness of contemporary literature was set ablaze by the brilliance of Michael O'Brien's classic novel, Father Elijah. It is, therefore, a true joy that this long-awaited sequel has finally been published."